Adi sees Ayesha on the road as she gets down the auto and he horns to clear the way. She turns and he sees her face. She sees its Adi whom she should have never shown her face and runs. Adi runs after her calling out stop Pankhudi, its me, your Adi. Ayesha sees Ghalib infront of her and stops. Adi holds Ayesha and says Pankhudi, I knew I will get you one day. Ayesha acts as if she fainted. Adi lifts her in his arms. Ghalib turns to see them and is shocked to see his love Ayesha in someone’s arms. He runs to stop Adi. Adi leaves in his car with Ayesha. Adi tries to talk to her in car but she acts as sleeping, hearing his words and replying in thoughts. Adi wonders why is Pankhudi wearing a Burqa. Adi proudly brings her home and everyone is shocked seeing their beloved Pankhudi back. They can’t believe their eyes, but having seen a sweet smile on Adi’s face, they tend to believe. Avantika feels happy that Adi’s believe has won. They take Ayesha to Pankhudi’s room. Ayesha wakes up. Everyone try to talk to her to know where was she these two years. Ayesha clarifies that she is not Pankhudi, not a Muslim girl Ayesha, Nilofer’s daughter. Harish is tensed as Anisha went to Australia leaving him alone in this crucial time. Ayesha acts stupid and is about to tell Harish’s plan. She asks Nilofer to tell everyone the truth why they are here. 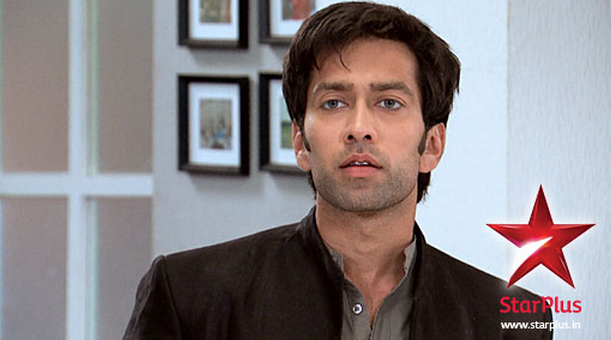 Will Adi be able to believe Ayesha is not his Pankhudi? Keep reading.